Learn how to piece a small picture quilt that finishes about 11” x 18”, using my pattern for a landscape, daylily, or cat. Starting with an overview of the process featuring some of my quilts, we will discuss fabric selection, then transfer the pattern to freezer paper, and start selecting and cutting fabric. After lunch, and a brief marking and sewing demo, we’ll mark our cut pieces and start sewing. The landscape is all straight-edge piecing, and is the easiest to do. Through fabric selection, it can be any season- spring, summer, fall, or winter! 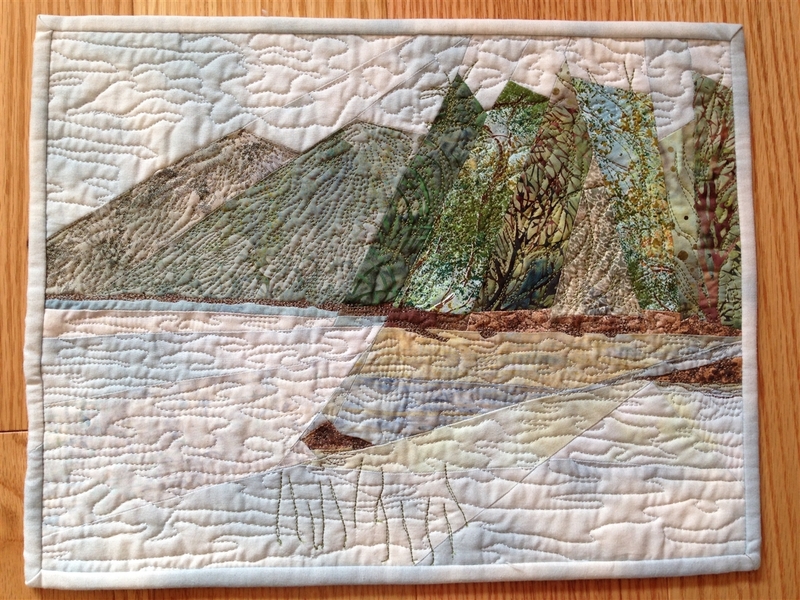 A bird or a kayak can be added using hand or machine embroidery! 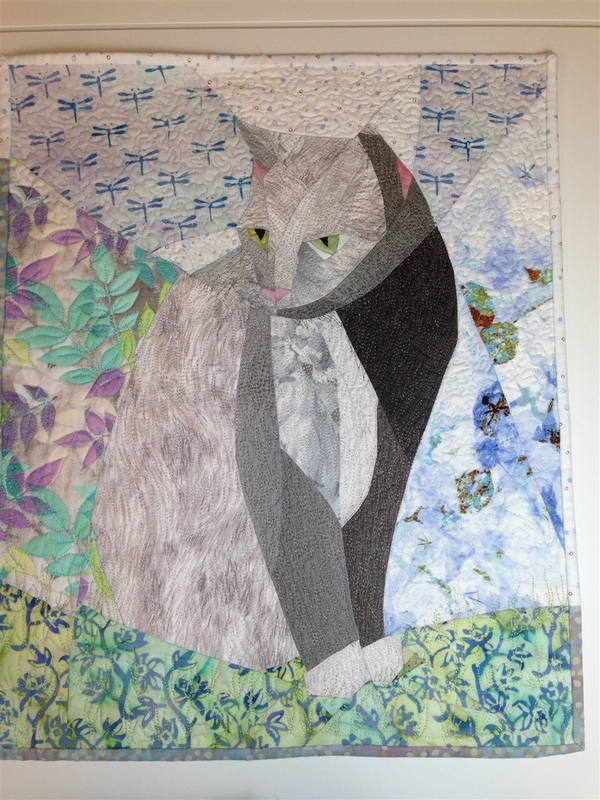 The cat and daylily both use curved seam piecing; the cat has some small pieces which make it a bit more fussy to piece, but we will discuss options to simplify the fussy parts, using a sew then cut technique, drawing in detail instead of piecing it, and using fabric to do the work of piecing. The cat is designed so it can be made up as a ‘tuxedo cat’ with white bib, paws, and nose! Quilting options will be demonstrated at the end of the day. My goal is for each person to have cut out, marked, and sewn at least some of their pattern, and to leave the workshop with the knowledge to complete the piece on their own. NOTE: Students who designed a pattern in Betsy’s workshop, "Designing a Picture Quilt", may use that pattern instead of one of the instructor's. Pigma Micron pens, black and a light color OR colored pencils + a sharpener. 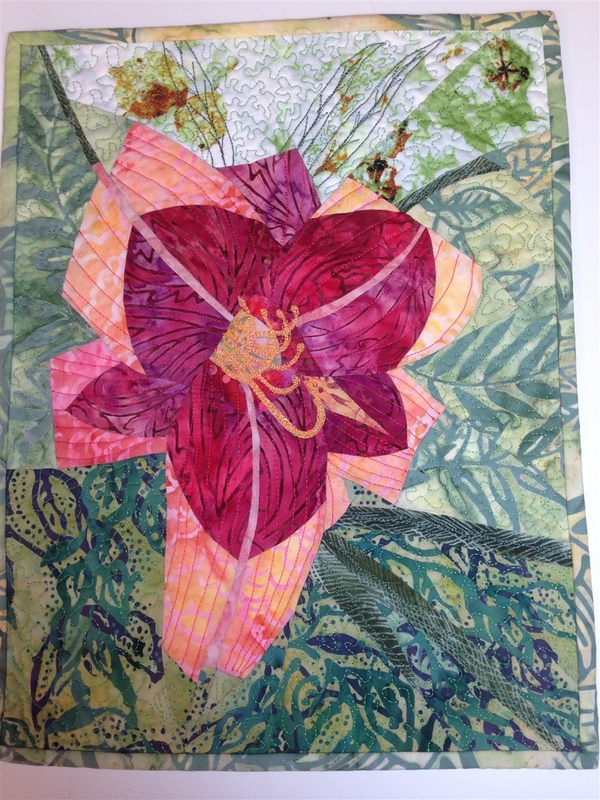 About the Instructor: Betsy Habich has had several of her picture-quilts juried into International Quilt Association (IQA /Houston), American Quilters Society (AQS/ Paducah), Machine Quilters Expo (MQX), and Quilters Gathering. Her work has been awarded yellow and red ribbons at the Vermont Quilt Festival, a 1st in Color Compatibility at The Gathering, a Teachers Choice Award at the Machine Quilters Expo (MQX), as well as a 1st at the Northeast Quilt Festival. In addition, she has had several one-woman shows at local shows, shops, and libraries. She is a self-confessed fabricaholic and cat person, though she has also been known to play with dogs!